Carry Protocol is a new approach to offline consumer data. Investment from Asia’s leading messaging app opens up a myriad of possible future developments. Seoul, Republic of Korea – Carry Protocol is part of the first batch of investments for unblock ventures, a corporate token venture fund founded by LINE Corporation. Boasting a base of 165 million monthly active users (MAU) across its four key countries Japan, Thailand, Taiwan, and Indonesia, LINE is one of the top messaging apps in Asia. LINE’s investment in Carry Protocol and other projects is in line with the tech giant’s entry into blockchain space, as the company launched its own digital token LINK earlier this year as well as its own digital asset exchange, BITBOX. Why choose Carry as one of its first investments? Some background information is in order. Carry Protocol is a blockchain project that strives to reorganize offline consumer data for consumers, merchants, and advertisers. The core idea is to give ownership back to the very people who generate the data – the consumers. Under the Carry Protocol, consumers not only have full possession of their data, but also the option to share it anonymously on the Carry blockchain, and receive compensation if this data is used by advertisers. On the other end, advertisers can pay to access this data and develop more accurate, direct advertising analytics for their stores and products, to be targeted at back at consumers. And so the cycle goes. The Carry ecosystem ensures fair compensation for all parties via smart-contracts and token economics (CRE token, pronounced “Carry”, is the protocol’s native token). Carry’s focus on offline data transactions comes from seven years of experience in the industry. 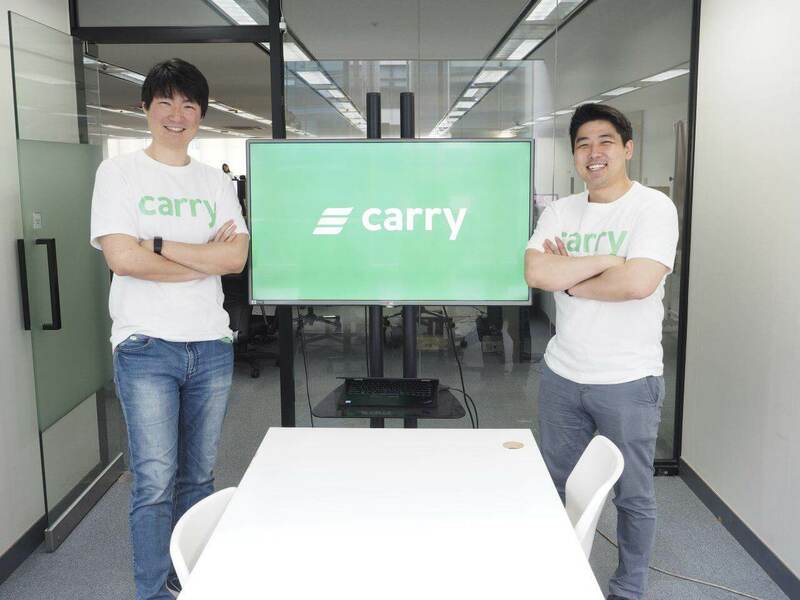 The founding team of Carry is also the founding team of Spoqa, Korea’s number one offline loyalty rewards platform for small and medium-sized businesses. Spoqa’s rewards service, Dodo Point, has 10,000 partner stores and 17 million users across Korea and Japan. Customers punch in their phone numbers at smart tablets installed across partner stores, which give out loyalty points to their consumers. Dodo Point tracks an estimated 2 trillion KRW (1.8 billion USD) worth of transactions annually. With Spoqa as a core partner, Carry Protocol plans to take advantage of Spoqa’s current infrastructure and network of partners. LINE’s reasons for investing in Carry as it’s pioneer venture are not just about Carry’s relationship with Spoqa. LINE is also interested in user adoption of blockchain technology via seamless user experience, something that is a priority for Carry Protocol as well. Co-CEO Richard Choi believes that the key to mainstream adoption of blockchain is not attempting to educate each and every consumer, but rather to create an interface so easy to use that the technology silently slips itself into everyday life. Both Carry Protocol and LINE hope to see closer developments with each other following unblock ventures’ investment in the project. Already established as a key partner of Spoqa, LINE provides many potential resources and opportunities, with its massive user base and global reach. Carry Protocol is eager to bring its vision of blockchain in offline data transactions to reality, and having a major investor in alignment with its values can only help the project grow. Learn more and join the offline blockchain revolution at www.carryprotocol.io. For our latest updates, please see our Medium page, www.medium.com/carryprotocol, Twitter account,https://twitter.com/carryprotocol, and Telegram announcement channel, https://t.me/carryprotocol_announcement. Based in Hong Kong, unblock ventures is a corporate token fund established by LINE’s subsidiary unblock corporation in July 2018. unblock ventures focuses on token investments including blockchain startups to boost development and adoption of digital tokens and blockchain technology. Disclosure: This is an advertisement paid for in Ethereum by Carry Protocol. For more information on our advertising rates and policies click here.